Do you hate missing out? See what our other customers are buying by having a read of our top 8 best-selling horse and rider essentials for autumn. Mark Todd Auckland Breeches – these are easily one of our most popular pairs of men’s breeches, loved for their durability and comfort. Combining breathable cotton, micro-fibre and Spandex, they are ultra comfy, convenient and available in a range of classic colours. Dublin Track Riding Gloves – these lightweight gloves are a must-have item for all horse owners and riders. With a touch-tape wrist adjustment for comfort, and reinforced wear patches for durability, these gloves can be easily stored and worn anywhere, whether riding or just mucking out on the yard. HyVIZ Reflective Waistcoat – with its ‘Please Pass Wide and Slow’ slogan printed on the back, not only will this waistcoat keep your warm while in the saddle, but it will also keep you safe and visible. Perfect for this time of year as we head towards autumn and winter. Mark Todd Toddy Zip Jodhpur Boots – a classic leather boot with a soft-cushioned sole, elasticated sides and a pull tab to help you get them on, our customers are loving these at the moment, in both black and brown. 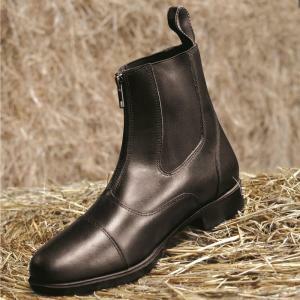 Every horse owner and rider needs a reliable pair of jodhpur boots, and these tick all the boxes! Equilibrium Skin Soother – this natural cooling gel is a great item to have to-hand in case of skin irritations, rashes, allergies, sunburn, chafing or rubs. With soothing active ingredients including chamomile, spearmint, aloe vera and calendula, the product comes highly recommended by our customers. Deosect Spray – a regular bestseller, Deosect will help keep flies and lice at bay, and is particularly helpful for Sweet Itch sufferers. Have a read of the 47 5-star customer reviews! Kevin Bacons Hoof Dressing for Horses – for horses with problematic hooves, this product offers comprehensive protection and helps maintain the strength, suppleness and elasticity of your horse’s most valuable assets. This famous, tried-and-tested formula has remained the same, and offers proven beneficial effects. Equitop Myoplast for Horses – a product that has benefited countless horses around the world that are lacking muscle mass and topline, Myoplast is a pharmaceutical grade supplement formulated for sport and show horses, as well as young horses in training. Results should be visible in 3-4 weeks, making this a relatively fast-acting formula!